The P22 is back and more reliable than ever. 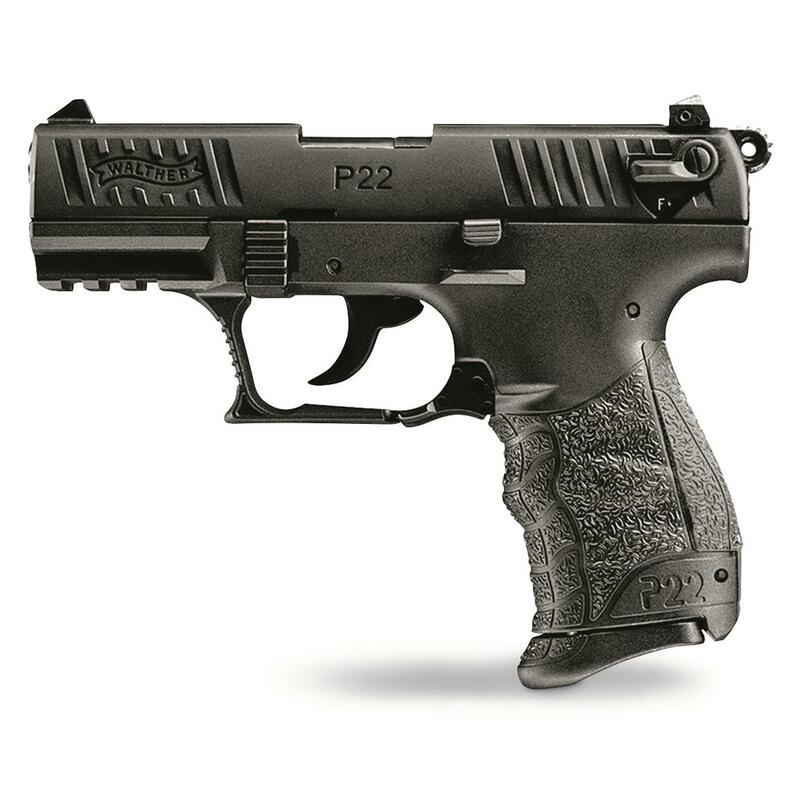 The original P22® was a hit, and for good reason: it had terrific ergonomics, a great trigger, and—best of all—a crazy-low price tag. But it did have one small quirk: it was picky about ammo. You had to stick to high-velocity ammo…and in a world where .22LR ammo gets scarce, that could be a real annoyance. Well, the popular .22 Pistol is back—and it'll eat just about anything you feed it. Thanks to a new captured recoil spring and a number of technical improvements, the new P22 QD will cycle ANY .22LR ammo, even subsonic. Which is good, because the P22 QD comes with a threaded barrel (the threads are recessed into the slide) that can accept a suppressor. Other improvements include a safety that doubles as a decocker, better grip texturing, and more slots on the accessory rail. And like all Walther Pistols, the trigger is excellent, the natural ergonomics are spot-on, and it's super accurate. PLEASE NOTE: This model DOES have a threaded barrel. The threads are not visible because they are recessed into the slide. 3-slot accessory rail for laser, light, etc.